Merry Christmas from all the team! We had grown and sold Christmas Trees for 20 years and then a decade ago at the suggestion of our customers we started sourcing quality decorations to dress them and your home with. Now every year we open our converted stables and walled Victorian gardens to provide the best Christmas has to offer. 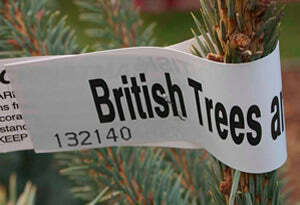 As members of the British Christmas Tree Growers Association we only sell trees that we can guarantee the freshness of.